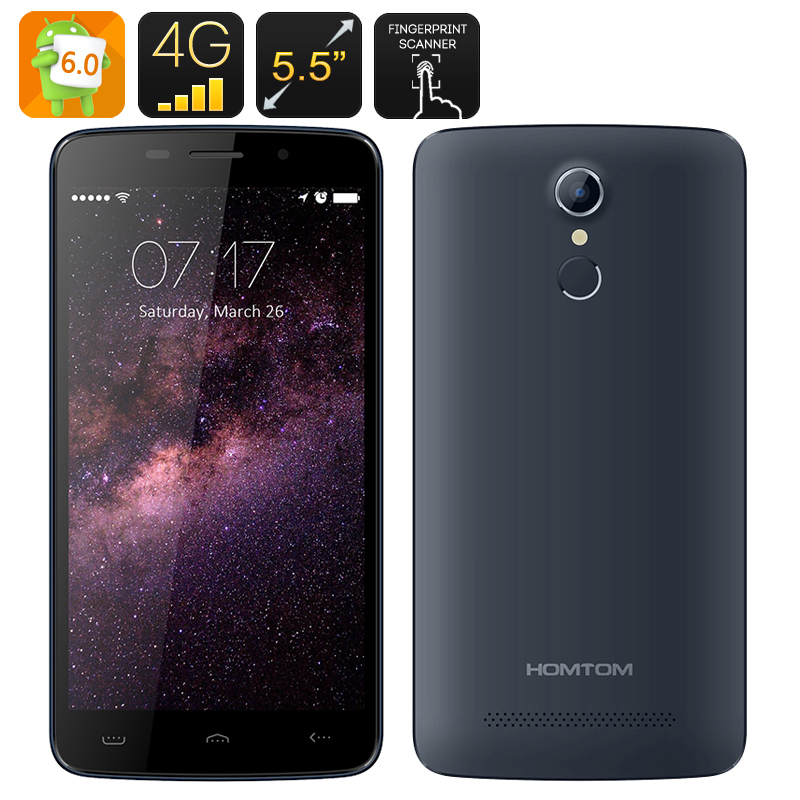 Successfully Added HK Warehouse HOMTOM HT17 Android 6.0 Smartphone - 4G, 5.5 Inch HD Screen, MTK6737 Quad Core CPU, Fingerprint Scanner (Blue) to your Shopping Cart. Enjoy the latest features and great design with the HOMTOM HT17 smartphone, sporting Android 6.0, a 5.5 inch HD screen, the powerful MTK6737 Quad Core CPU, a fingerprint scanner and more. Coming from the already well-known smartphone manufacturer, the HOMTOM HT17 is a powerful, versatile and elegant device with a lot to offer. First, you get the crème de la crème Android 6.0 interface to enjoy on the 5.5 inch HD screen. Check out the Play Store and download all the latest apps and games. To ensure the best protection of your privacy, the phone come with a fingerprint scanner — this way, you can be sure your data never falls into the wrong hands. With Gesture Unlock, you will also be able to quickly unlock your phone when needed. The HOMTOM HT17 offers 4G connectivity and dual SIM support. Enjoy fast web browsing and easily separate your work and social life with two different mobile accounts. Powered by the MTK6737 Quad Core CPU, the smartphone features efficient performance and Mali-T720 GPU guarantees great gameplay. Enjoy up to 12 hours of non-stop talk time with the 3000mAh battery and feel free to snap photos or make fun videos with the phone’s two cameras.